The homily De Passione et Cruce Domini (CPG 2247) is amongst the most interesting documents ascribed to Athanasius of Alexandria. In a recent article, I showed that an extract from this sermon existed as well in a Coptic version. The fragment newly-identified is the only witness of Pseudo-Athanasius’ sermon found until now in Coptic. The surviving manuscripts of De Passione et Cruce credit Athanasius of Alexandria as the author of the homily However, the authenticity of this work has been seriously challenged. In Migne’s Patrologia Graeca, the text was printed amongst the dubia of Athanasius (see PG 28, coll. 125-249). 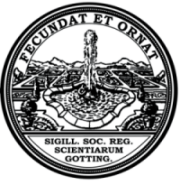 In an important article published in 1919, the Jesuit scholar V. Hugger had shown that the author of the text knew and quoted another pseudo-Athanasian work, entitled Sermo maior de fide (or Epistula ad Antiochenos as it is sometimes labeled = CPG 2803). Although various scholars since the beginning of the 20th century have reckoned that Sermo maior was ascribed to Athanasius only spuriously, there is still no consensus concerning its authorship. While Eduard Schwartz attributed it to Eustathius of Antioch, Felix Scheidweiler suggested that it came from the pen of Marcellus of Ancyra. Scheidweiler’s hypothesis was well argued and has been embraced by most of the scholars. More recently, Manlio Simonetti has proposed Didymus of Alexandria as a possible author, but his proposition did not gain much support. The quotation from Sermo maior de fide which appears in the homily on the Passion led Marcel Richard to the conclusion that Marcellus of Ancyra must be the author of both texts. Be that as it may, De Passione et Cruce had a great reputation in the Christian Orient. 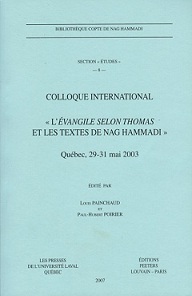 Besides the Greek original, Syriac, Armenian and Arabic translations are also known. We can now add to these versions a Sahidic fragment which attests that the homily on the Passion attributed to Athanasius of Alexandria existed also in Coptic. The fragment to which I am referring is kept in the National Library in Paris as BnF Copte 1311, f. 9. The volume in which the folio is bound today contains a modern miscellany that brings together disparate parchment fragments from several codices which belonged to the White Monastery, situated in Upper Egypt, on the edge of the desert near present day Sohag. The text is written on parchment and the mise en page is in two columns. The page numbers 247-248 are still visible on the outer upper corners of the pages (as the leaf was originally bound). 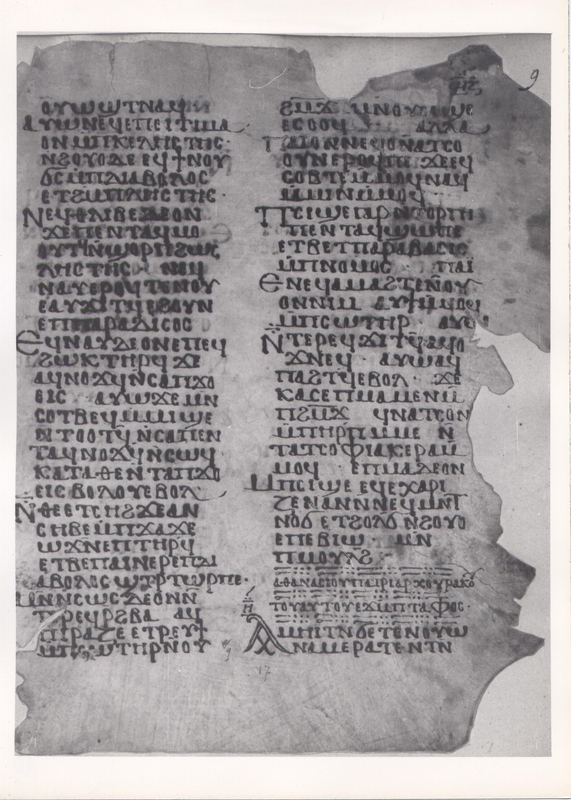 A tentative codicological reconstruction of the scattered fragments related to BnF Copte 1311, f. 9 indicates that the manuscript did not contain the entire text of De Passione, but only an extract (the Coptic corresponds to PG 28, coll. 225C-228A). 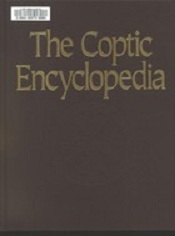 The recovered pieces show that the manuscript was a Patristic florilegium which included extracts from different Fathers of the Egyptian Church. So far, I have been able to identify parts from the works of Theodore of Tabennese, Isaiah of Scetis, Pseudo-Cyril of Jerusalem, Pseudo-Athanasius of Alexandria etc. Each text of the codex seems to be framed by a superscriptio and a subscriptio. Unfortunately, the scarcity of the fragments identified thus far, eleven or so, precludes us for reconstructing the structure of the codex in a satisfactory manner. Moreover, the specific liturgical purposes for which the miscellany was copied remain obscure. 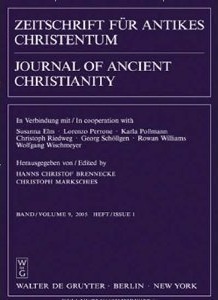 V. Hugger, “Mai’s Lukaskommentar und der Traktat De passione athanasianisches Gut?,” Zeitschrift für katholische Theologie 43 (1919) 732-741. 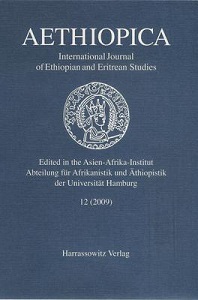 E. Schwartz, Der sogennante Sermo maior de fide des Athanasius (Sitzungsberichte der bayrischen Akademie der Wissenschaften, Phil.-Hist. Klasse 1924; Munich, 1926). F. Scheidweiler, “Wer ist der Verfasser des sog. Sermo Maior de Fide?,” Byzantinische Zeitschrift 47 (1954) 333-357. M. Simonetti, “Ancora sulla paternita dello ps. 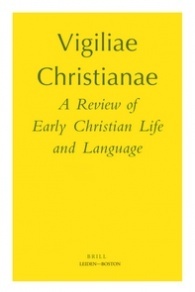 atanasiano Sermo maior de fide,” Vetera christianorum 11 (1974) 333-343. 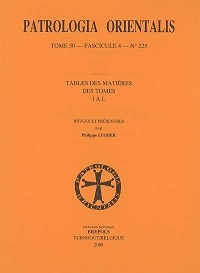 M. Richard, “Un opuscule méconnu de Marcel évêque d’Ancyre,” Mélanges de science religieuse 6 (1949) 5-28. 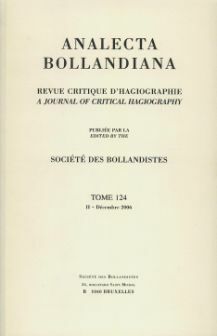 This entry was posted in Athanasius of Alexandria, Patristics and tagged Alin Suciu, Athanasius of Alexandria, Bibliothèque nationale de France, codicology, Coptic Manuscripts, Isaiah of Scetis, Marcellus of Ancyra, paleography, Patristic literature, Patristics, Sahidic, White Monastery. Bookmark the permalink. 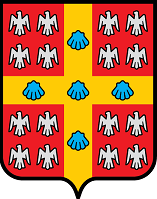 Sermo maior de fide: again, it has nothing to do with Marcellus. Check the “arguments” in favor of the attribution: they are absolutely ridiculous, as in the case of De Incarnatione. Simonetti has never been challenged seriously, neither on the attribution to Marcellus (which stands upon an absolute void), nor on the one concerning Didymus (which is worth checking). It is true that the attribution of Sermo maior and De incarnatione et contra Arianos to Marcellus is not certain and I should have underlined this aspect too. 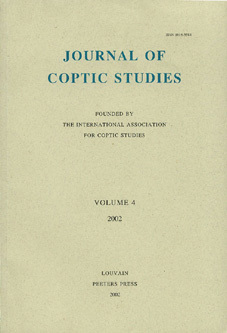 But as I was concerned with the Coptic material, I relied on the opinion shared by most of the modern critics.